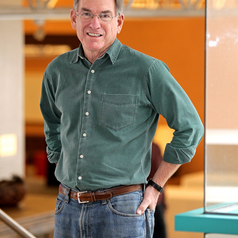 Samuel Bowles is Research Professor at the Santa Fe Institute where he heads the Behavioral Sciences Program. He taught economics at Harvard from 1965 to 1973 and since then at the University of Massachusetts, where he is now emeritus professor and at the University of Siena from 2002 to 2010 where he continues to occasionally teach. Bowles' current research also includes theoretical and empirical studies of political hierarchy and wealth inequality and their evolution over the very long run. His studies on cultural and genetic evolution have challenged the conventional economic assumption that people are motivated entirely by self-interest. Recent papers have also explored how organizations, communities and nations could be better governed in light of the fact that altruistic and ethical motives are common in most populations. His scholarly papers have appeared in Science, Nature, New Scientist, American Economic Review, Theoretical Population Biology, Games and Economic Behavior, Journal of Theoretical Biology, Journal of Political Economy, Quarterly Journal of Economics, Behavioral and Brain Science, Philosophy and Public Affairs, Journal of Public Economics, Theoretical Primatology, Proceedings of the National Academy of Sciences (USA), Harvard Business Review, Journal of Economic Literature, Journal of Economic Perspectives, Current Anthropology, and the Economic Journal. His most recent book is The Moral Economy: Why good laws are no substitute for good citizens (Yale University Press, 2016). Other recent books include A Cooperative Species: Human reciprocity and its evolution (with Herbert Gintis, Princeton University Press, 2011), The new economics of inequality and redistribution, (Cambridge University Press, 2012), and Microeconomics: Behavior, Institutions and Evolution (Princeton University Press, 2004). He is currently working on Equality’s Moment: The origins and future of economic disparity and political hierarchy. He has also served as an economic advisor to the governments of Cuba, South Africa and Greece, to U.S presidential candidates Robert F. Kennedy and Jesse Jackson, to the Legislature of the State of New Mexico, to the Congress of South African Trade Unions, and to South African President Nelson Mandela. With CORE (Curriculum Open-access Resources for Economics), an international collaboration of economists, he is currently developing a new curriculum for undergraduate economics.